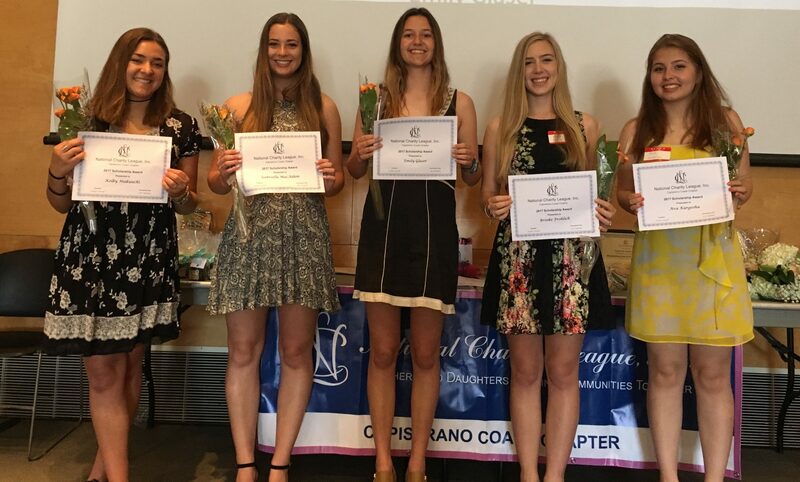 Six local students recently received scholarships from the Capistrano Coast National Charity League chapter. The six students demonstrated leadership, academic excellence and a commitment to community service throughout high school, according to a statement by the chapter. The recipients include Ava Kargosha and Kolby Makuuchi from Capistrano Valley High School, Gabriella MacAdam and Samantha Eden from San Juan Hills High School, Brooke Frohlich and Emily Glasser from San Clemente High School. Each applicant was asked to submit an essay to show how their community service experience was meaningful to them and how it made a difference to their community.